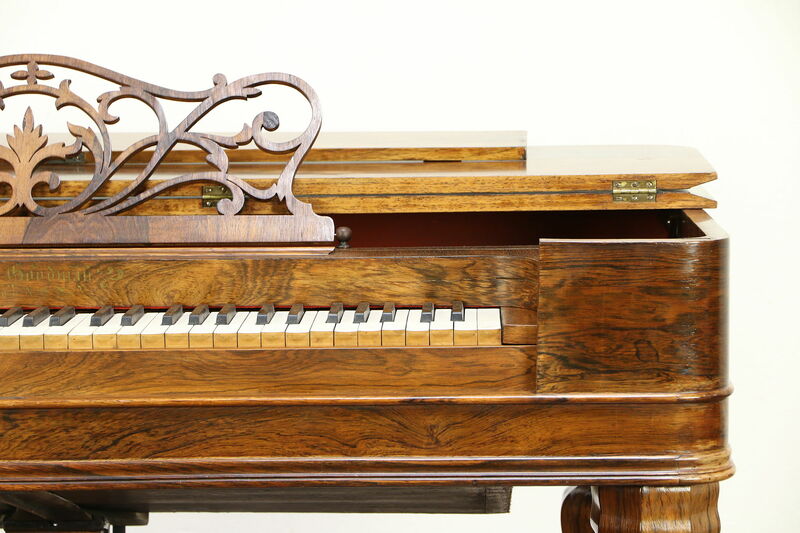 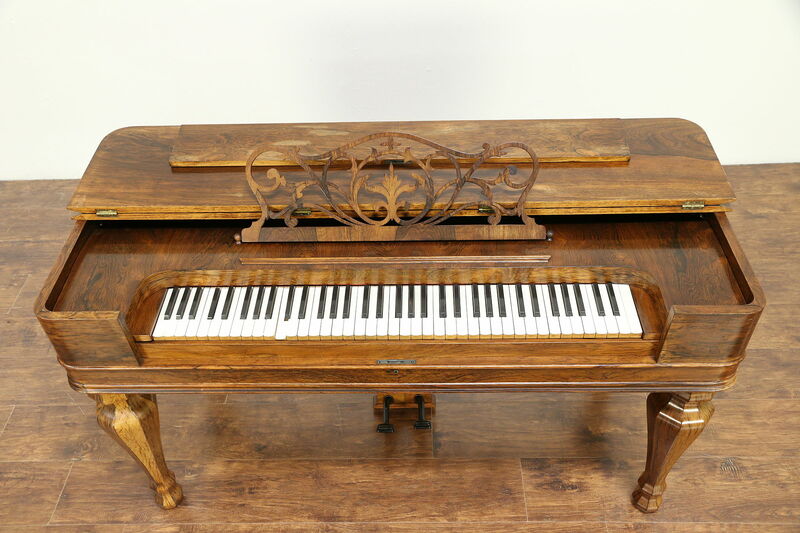 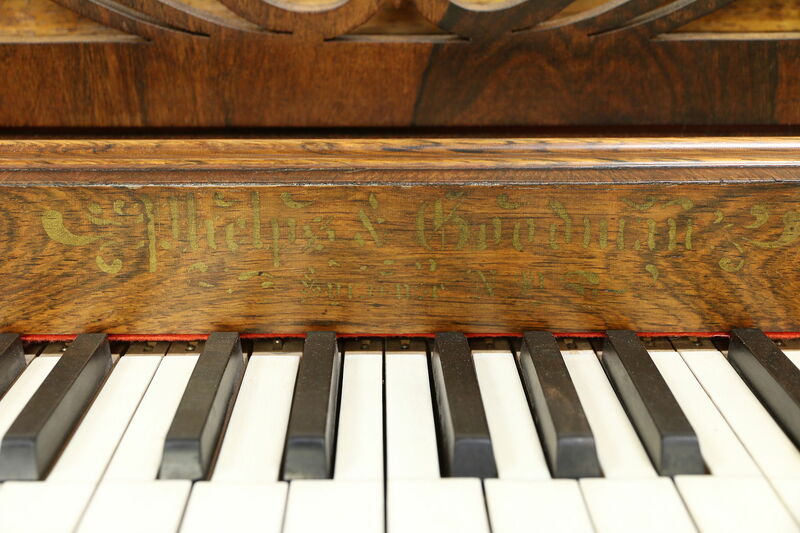 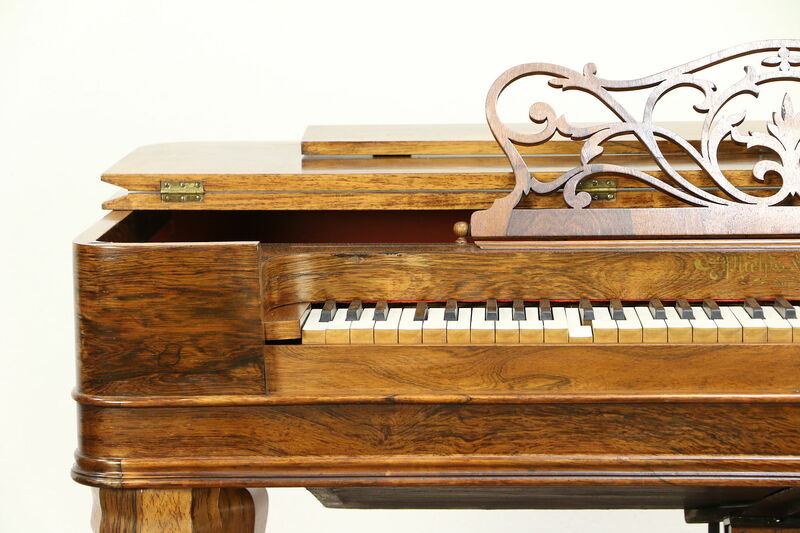 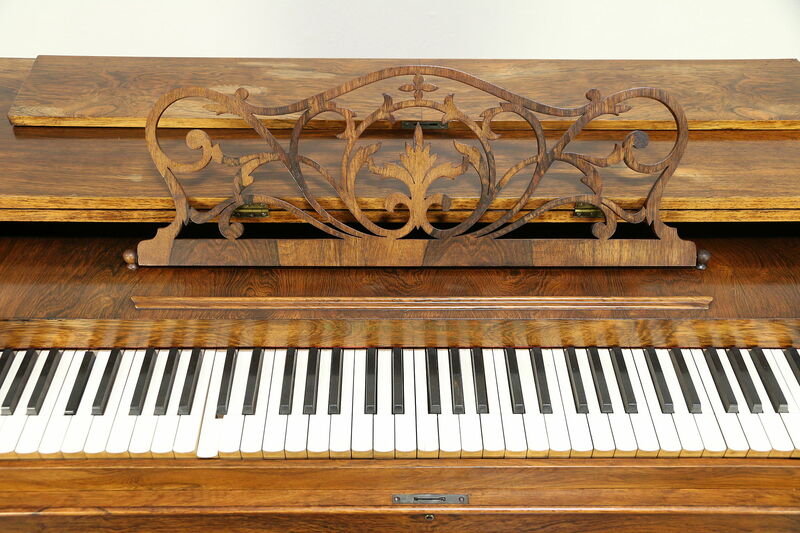 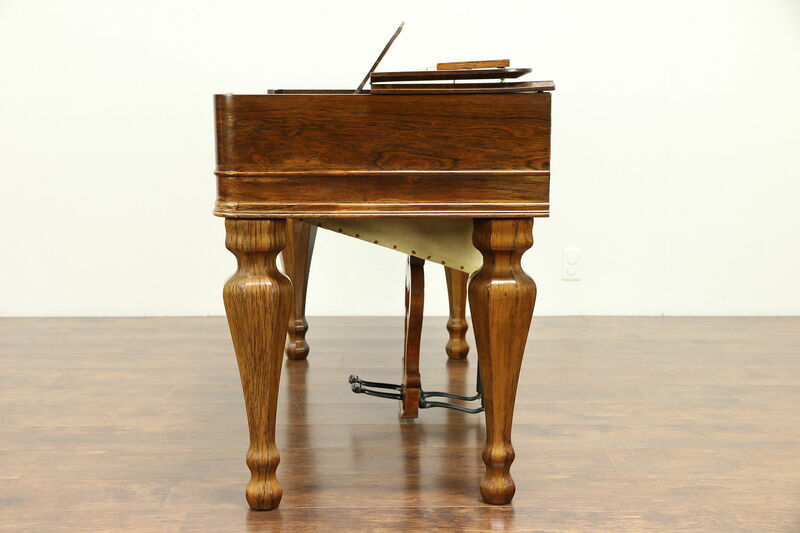 A "Melodeon" or early version of the pump reed organ dates from the 1850's, signed "Phelps & Goodman, Syracuse, NY." 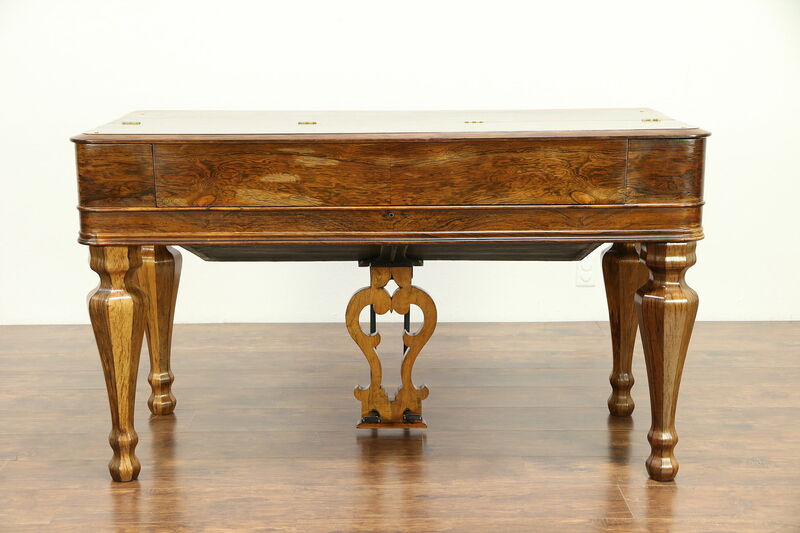 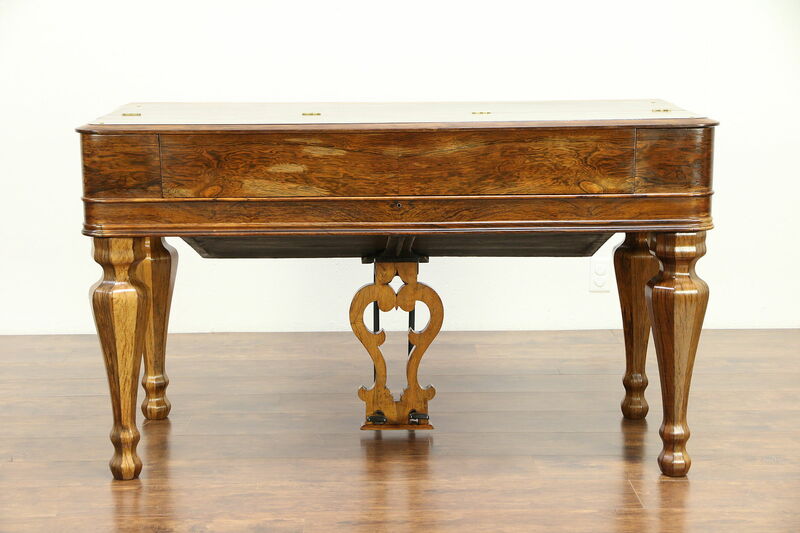 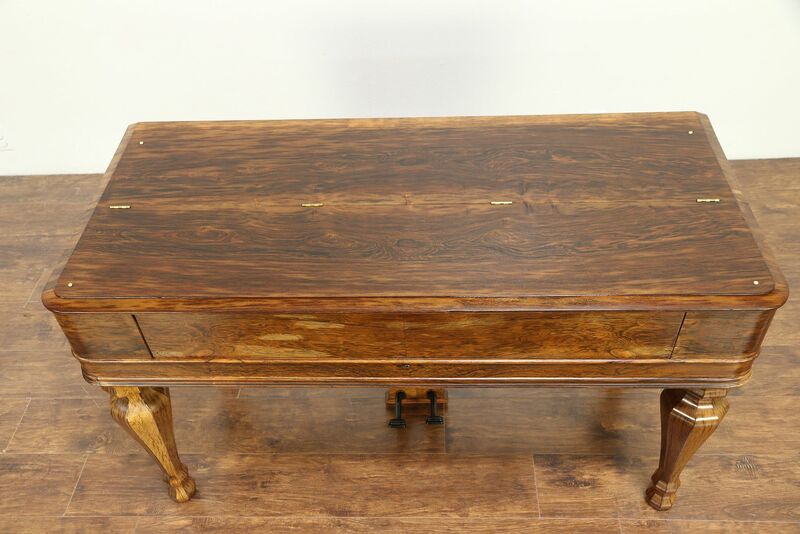 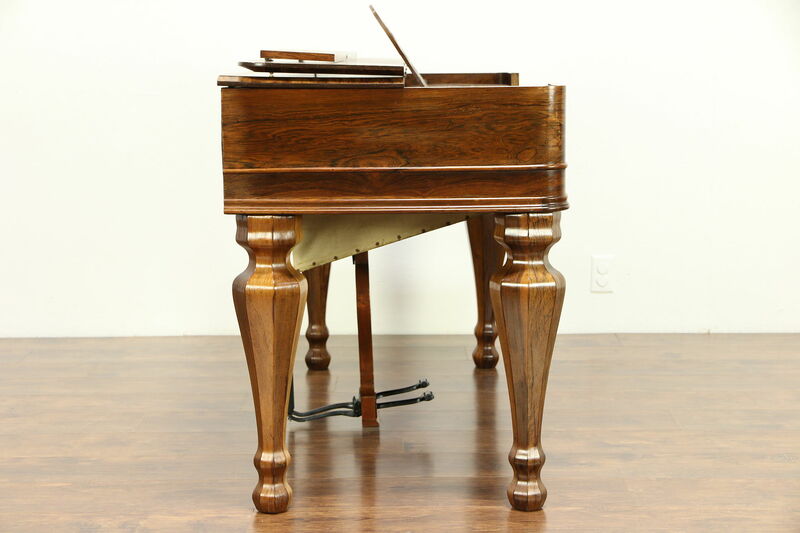 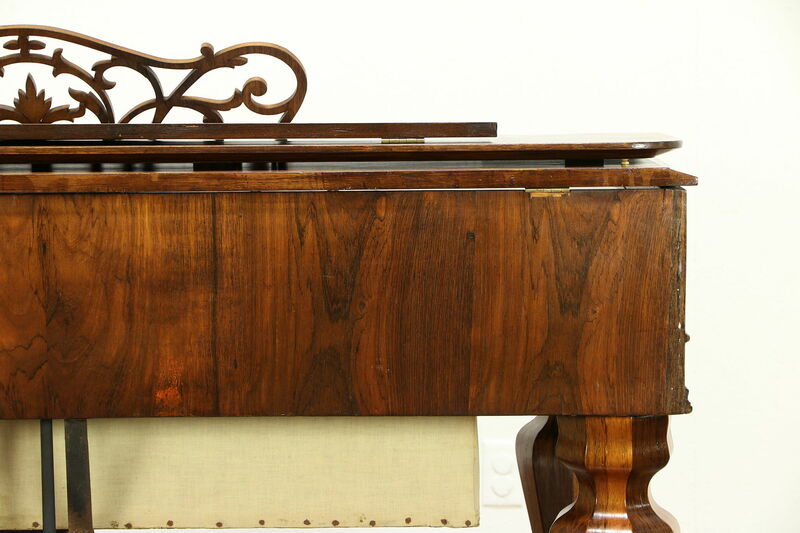 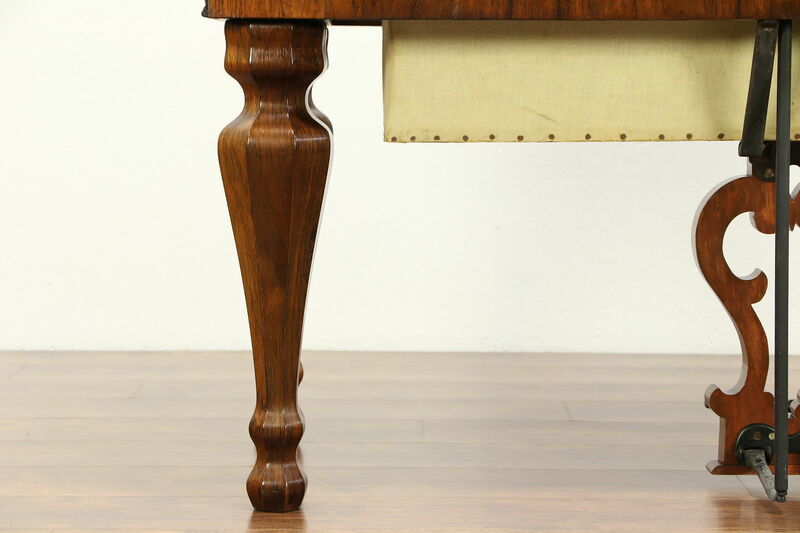 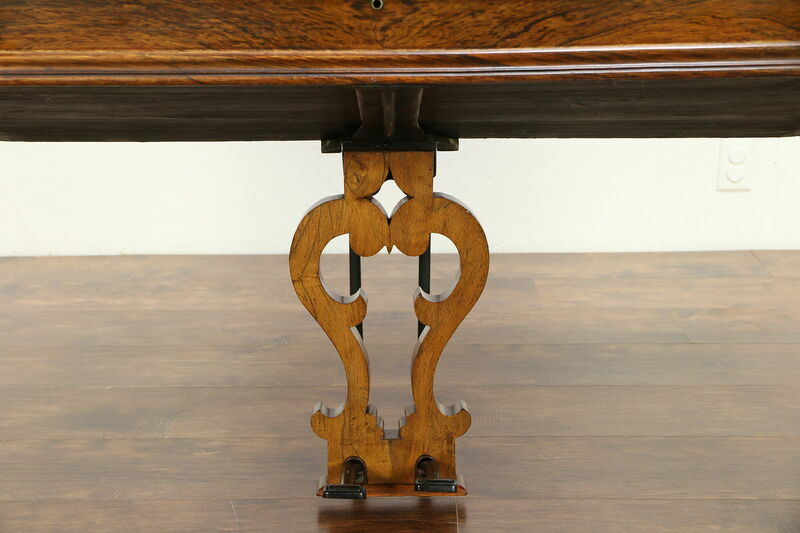 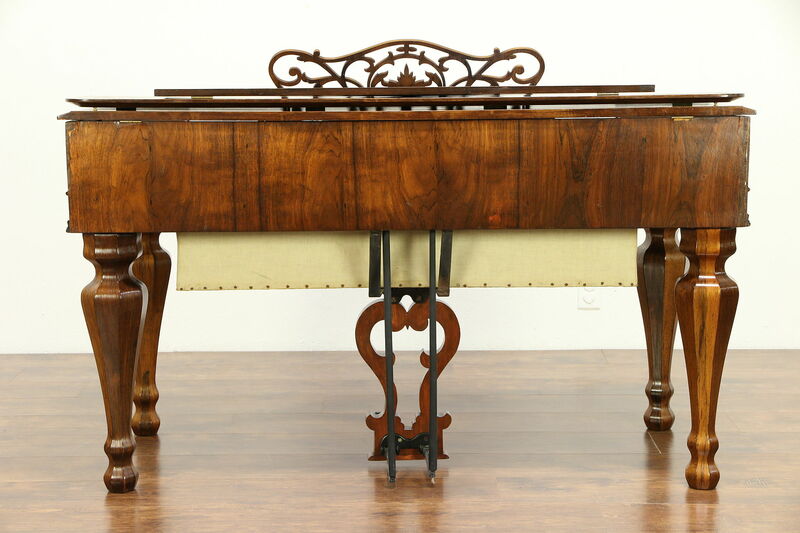 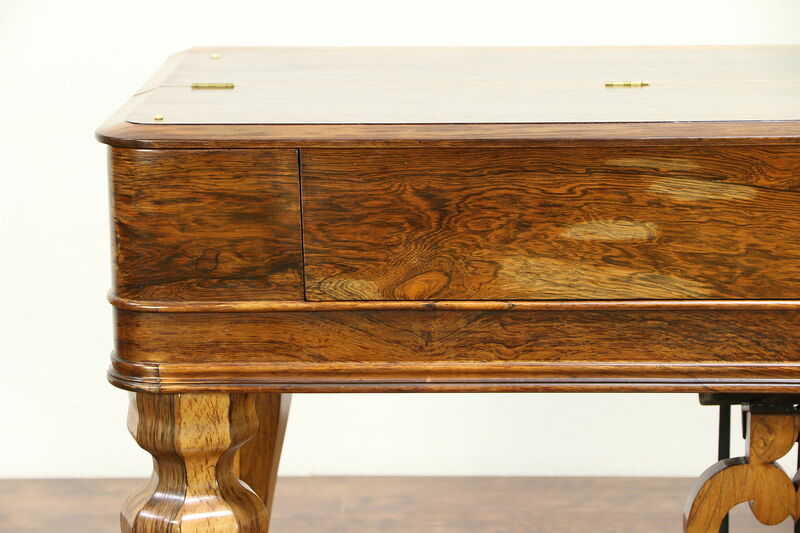 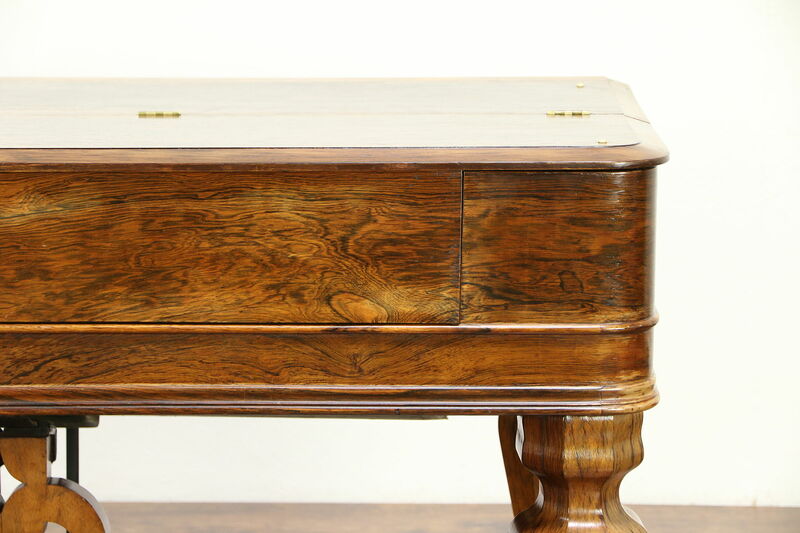 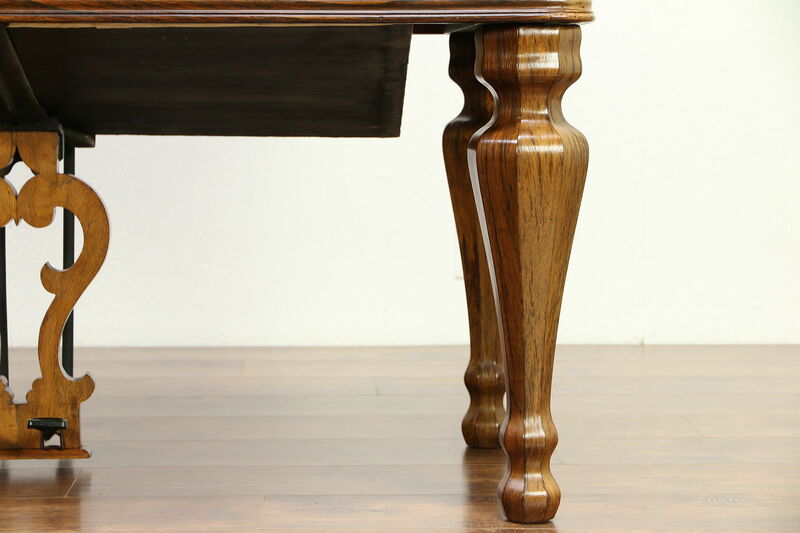 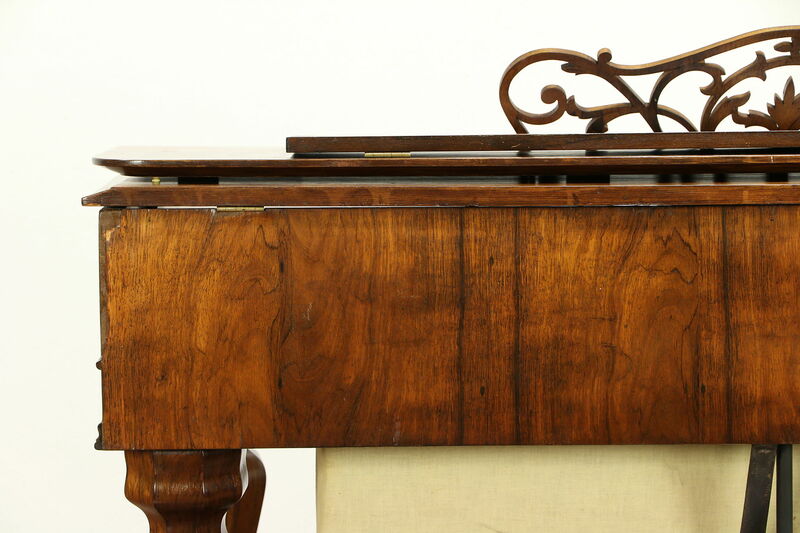 The case is genuine rosewood with octagonal shaped legs and the desk and top fold flat to use as a console table. 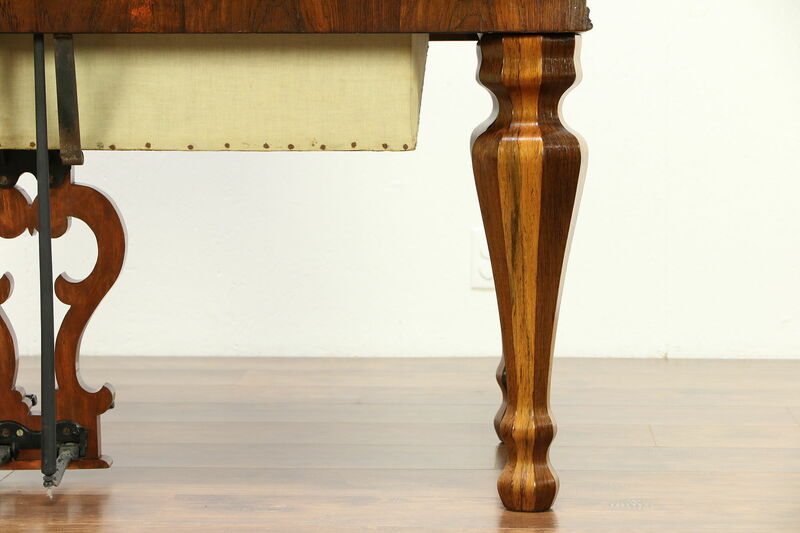 The old finish has some wear, blotches and sun fading, see photos. 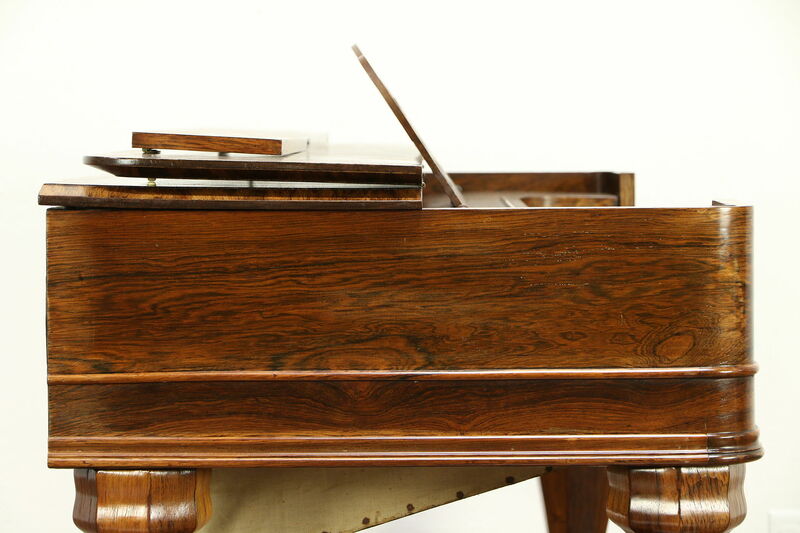 This musical instrument plays very poorly, some notes are stuck on, others do not work because of dust caught in the brass reeds. 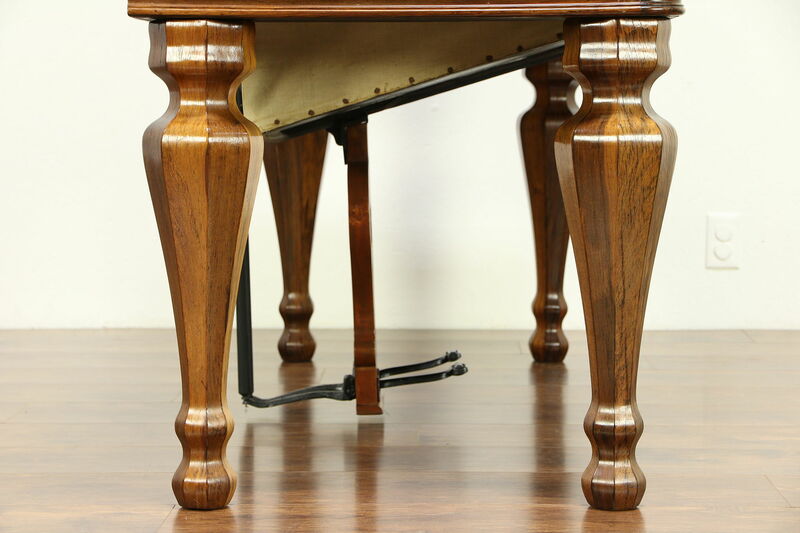 The right pedal operates the bellows which leak air, the left pedal is a swell for loudness. 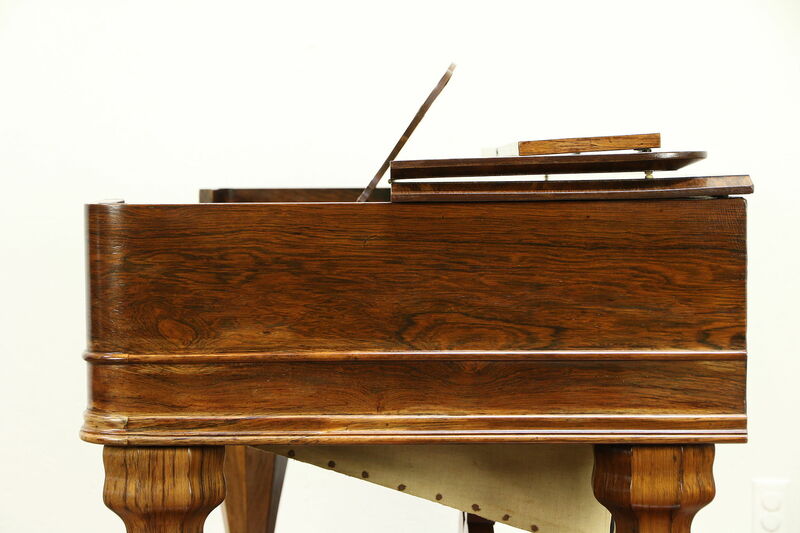 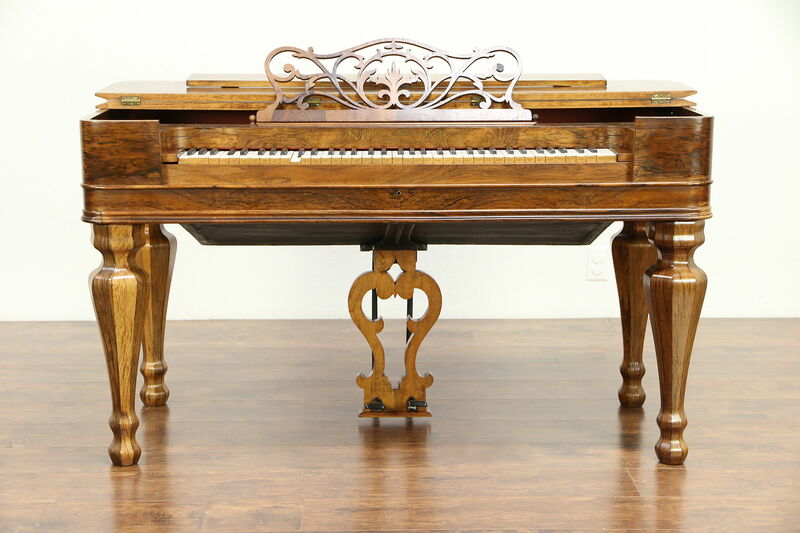 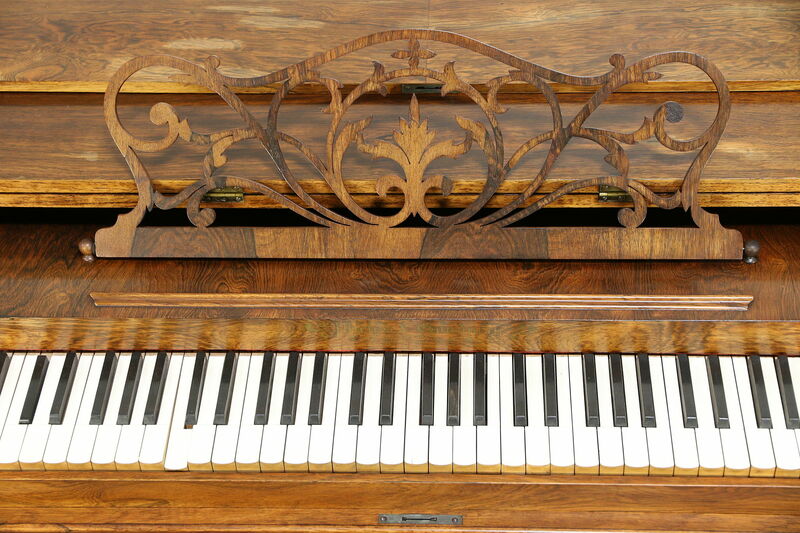 This instrument would require significant restoration to play properly. 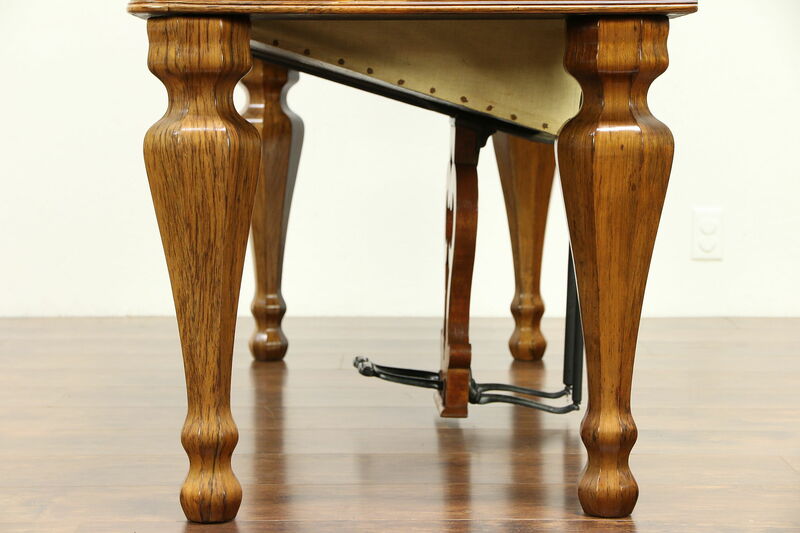 Legs unscrew for easier transport. 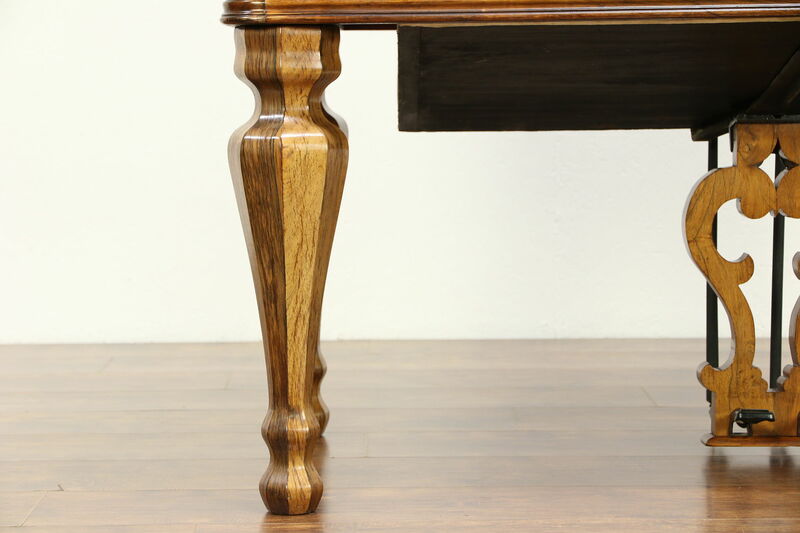 Size is 57" wide, 26" deep and 33" tall.